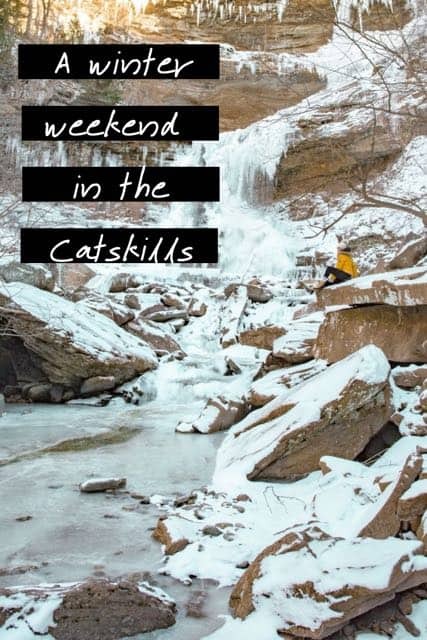 The Catskills is a region in upstate New York that encompasses the Catskill Mountains, the town of Catskill as well as a good portion of Ulster County. 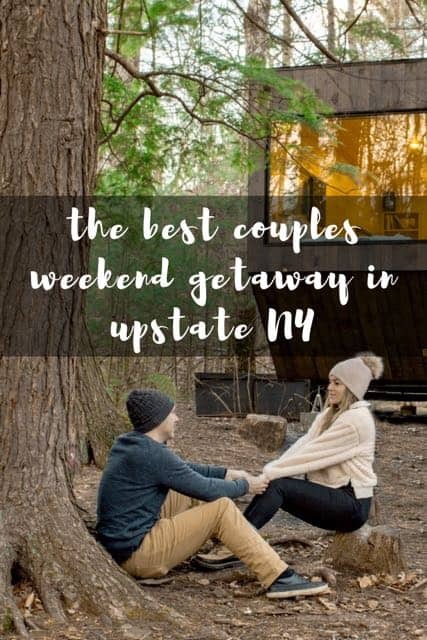 They are a great destination for a weekend getaway from NYC as they are just over 2 hours by car from Manhattan which makes them the perfect couples getaway in upstate NY. 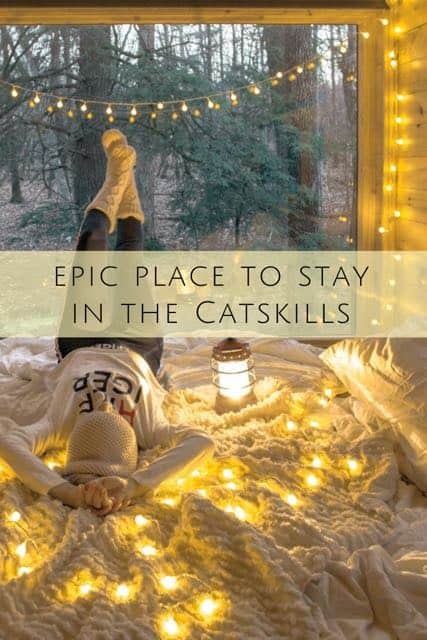 There are plenty of things to do in the Catskills making them a prime vacation spot for families. 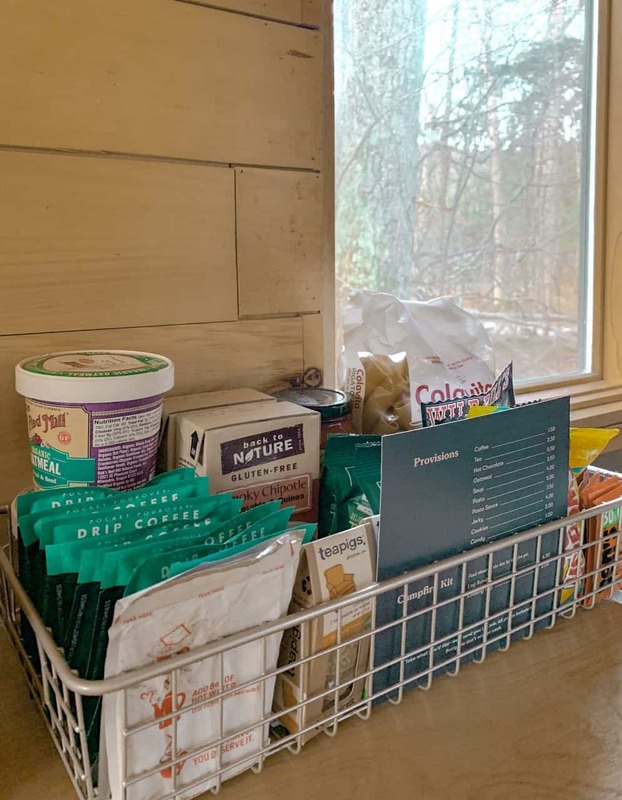 Not only is there plenty of hiking and outdoor activities, there are also a number of restaurants and coffee shops offering tasty food and farm to table meals. 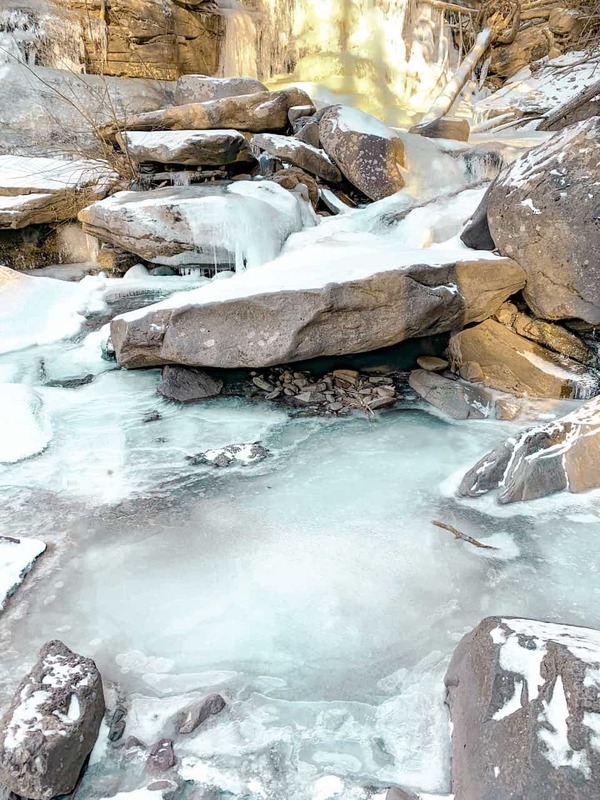 Winters turn the whole area into a magical winter wonderland (though quite cold) while summer provides great weather for swimming and outdoor excursions. 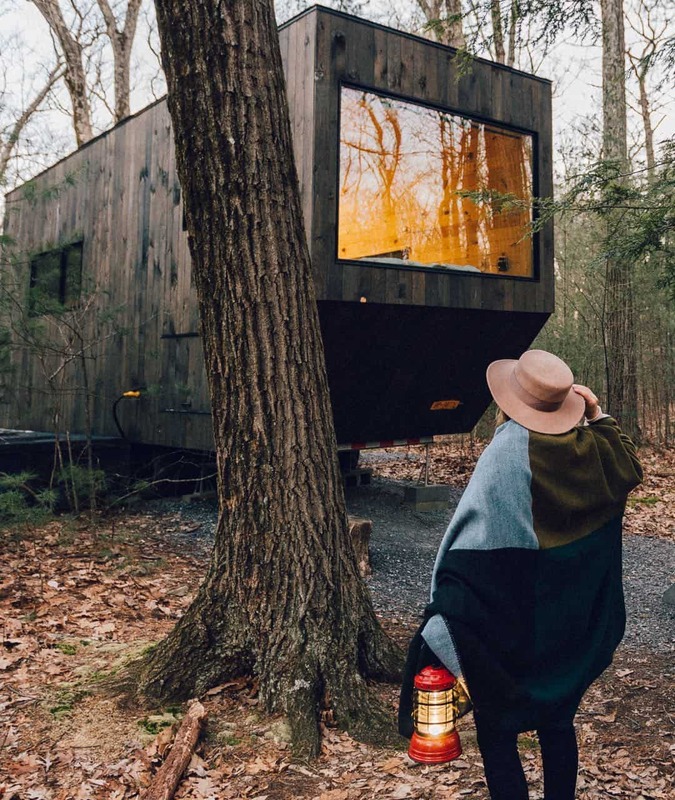 We recently visited the Catskills for the first time and I was surprised how wrong some of my expectations were. I had assumed that the entire area was mountainous and that the towns wouldn’t offer the traveler much of anything. I also didn’t expect it to be so scenic. However, there are quite a few towns in Ulster County with delicious restaurants, fun shops and a lively center, especially for winter. 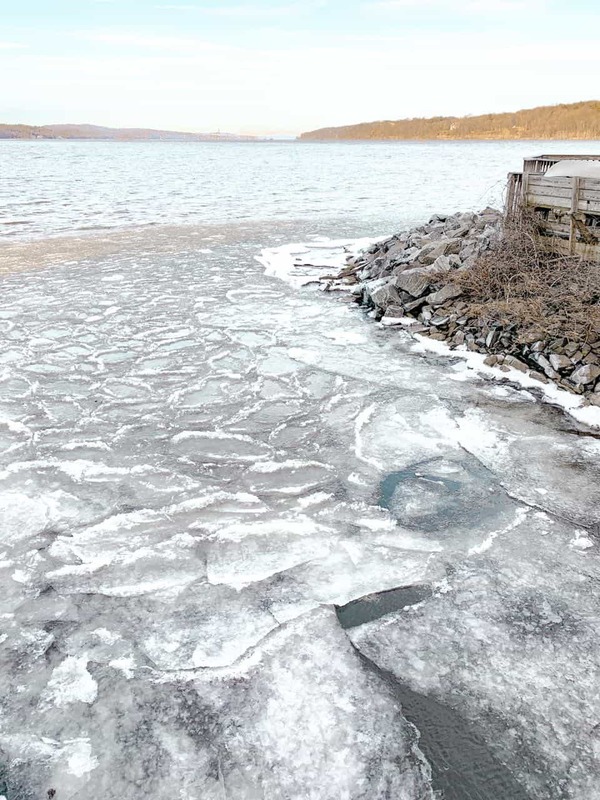 We frequented Saugerties and while the town was tiny, it was surprising just how busy it was during January. 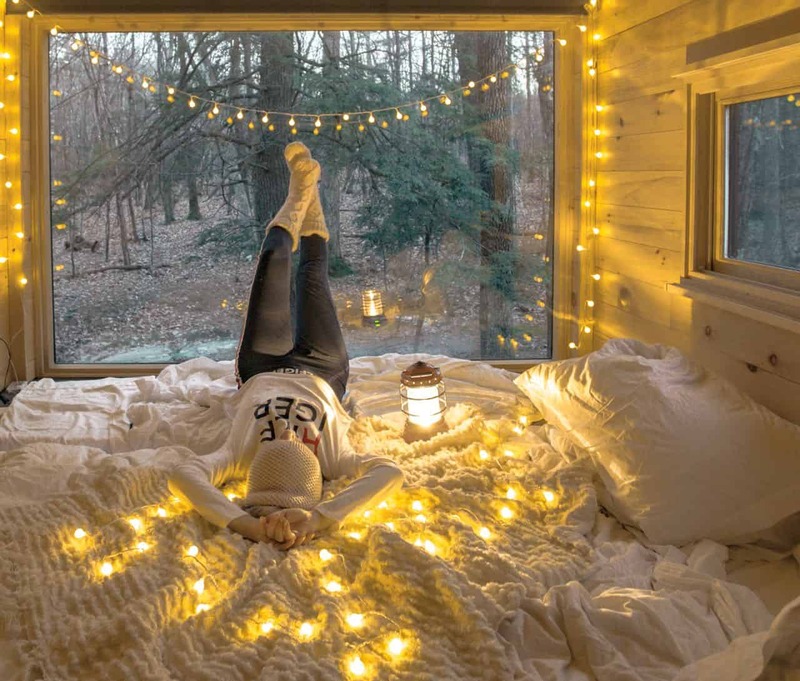 Book a Getaway House – If you’re looking for a couples getaway in upstate NY, then book your stay at Getaway House. 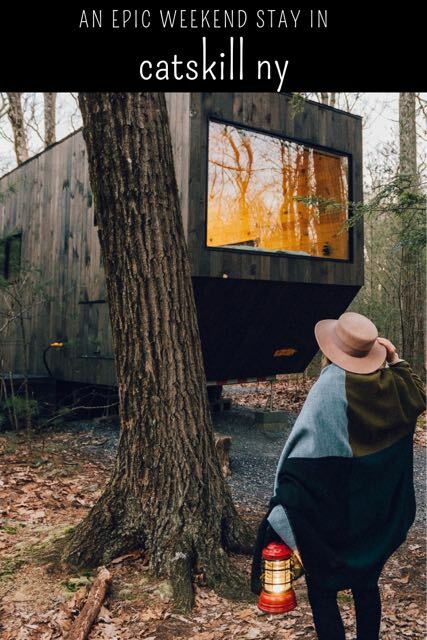 Getaway House has a few other locations on the East Coast including Boston and DC and is a group of cabins with simple interiors and views of nature. The booking process is easy and once you book your stay, you’ll receive an email with the address of the cabins. The day before your stay, you’ll receive a text with the code to get into the cabin (you can check in as late as you want). The entrance to where the cabins are located is easy to find and the driving paths to the cabins themselves are well-marked, with signs lit even when it’s dark. You’ll pull your car right up to your cabin. Cost: Getaway houses cost anywhere from $130-$200 per night depending on the time and location picked. This does not include taxes and fees or any essentials you might use from the cabins. 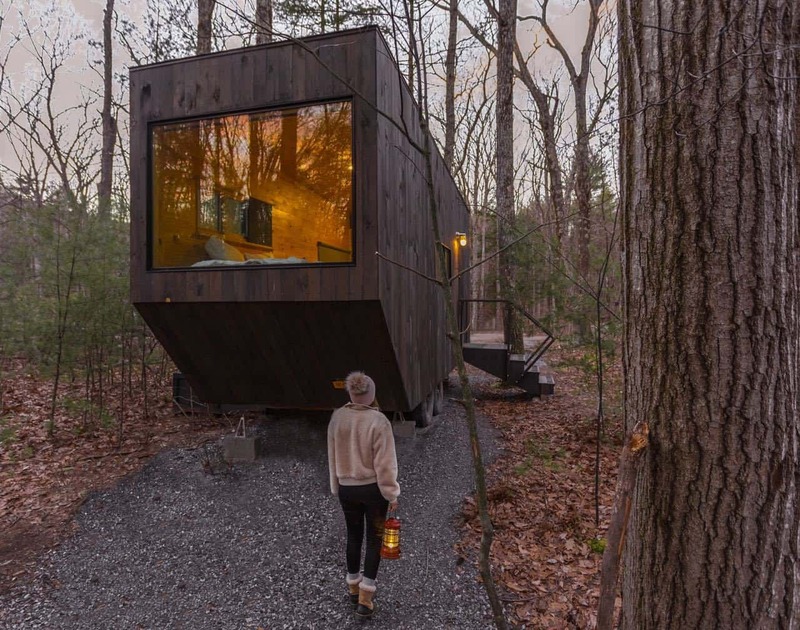 Location: These cabins have enough privacy but are not entirely secluded. They are approximately 150 feet apart, give or take a few. During winter, you can see your neighbor’s cabin from your own cabin. However, we didn’t feel that they were too close to each other. 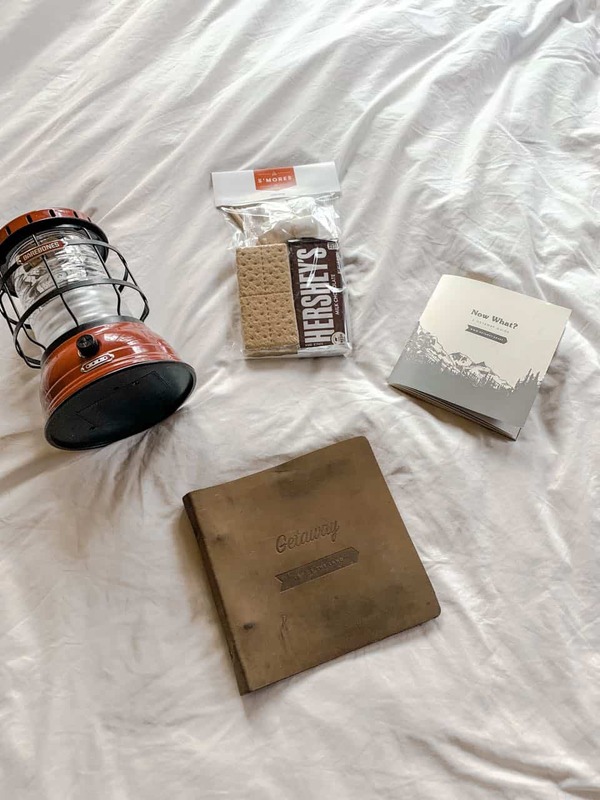 The cabins come equipped with private toilets as well as a bed, tiny kitchen and fun knick-knacks like a lantern, basket of goodies that you can purchase and puzzle books. It’s a great place to unplug from technology (there’s no wifi) and spend a weekend with your loved one. My favorite part about each cabin is the large window that all the beds overlook. They give you great views into the woods but they also come with shades for a little more privacy. We preferred eating out in Saugerties (see below) but if you truly want to stay in for the weekend, you can bring your own food or pay a fee to use the food provided by Getaway in each cabin (i.e. pasta, pasta sauce, coffee, bars etc). 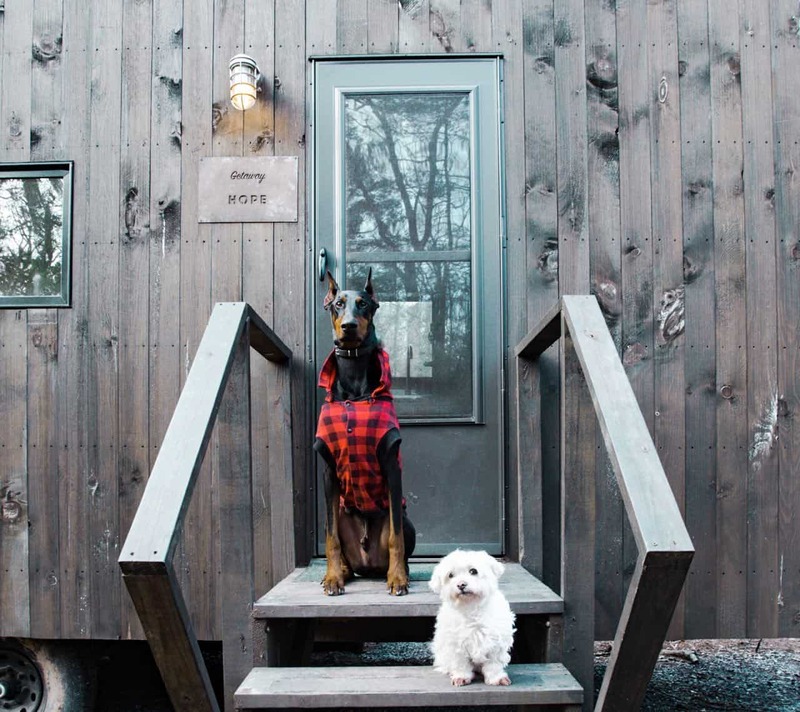 The cabins are all pet friendly, though you do pay a small cleaning fee to bring your pups. There is a small note in the housekeeping book that asks you do not allow the pets up on the bedding in order to minimize dog hair and dirt. This makes total sense as the cabins are located in the middle of the woods which means dirty paws will inevitable soil the white bedding. 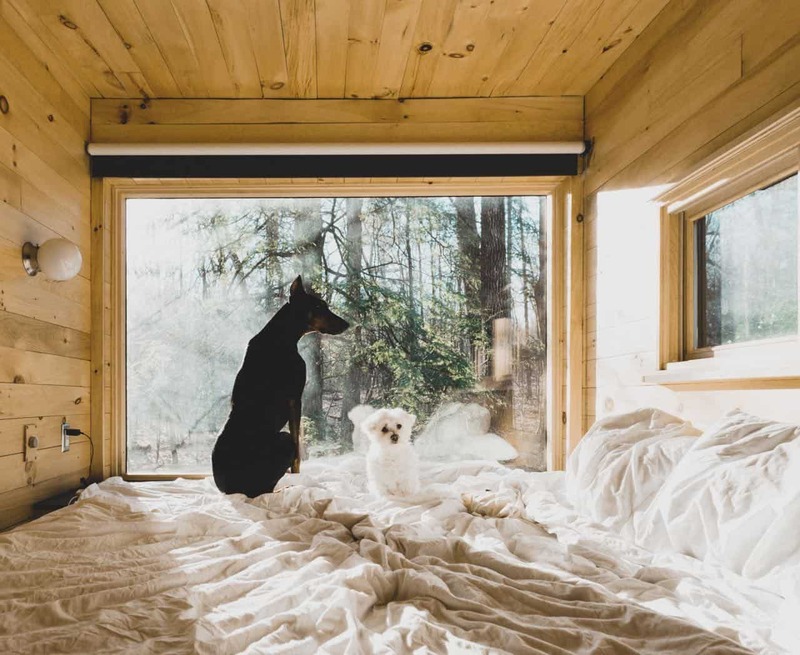 If your pup is a shedder and hates sleeping by himself, you could opt to bring your own sheet/blanket to protect Getaway’s bedding or bring their doggie beds for them to sleep on. Either way, I would definitely recommend bringing your pups as it’s a fun place for them and they can enjoy the outdoors with you. 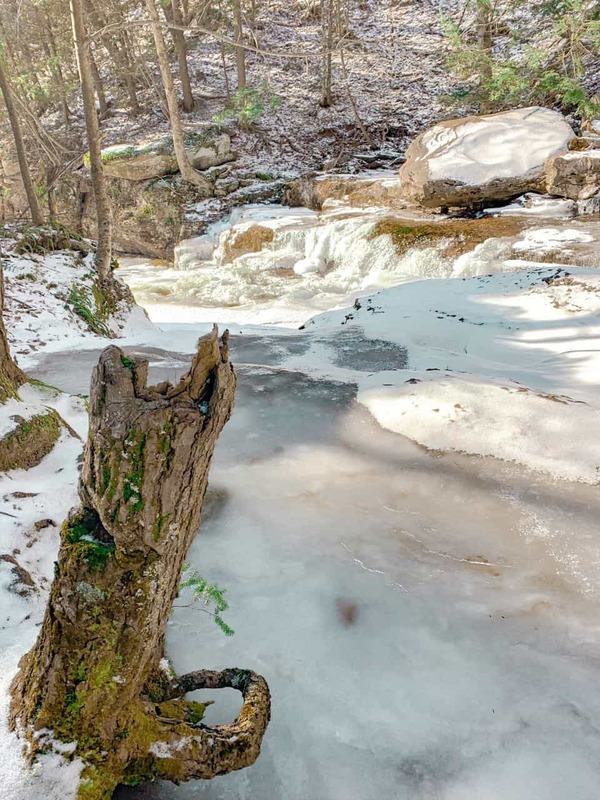 Kaaterskills Waterfall Trail – There are several easy catskill hikes and the hike to Kaaterskills Falls is one of the most popular and most beautiful hikes to go on. 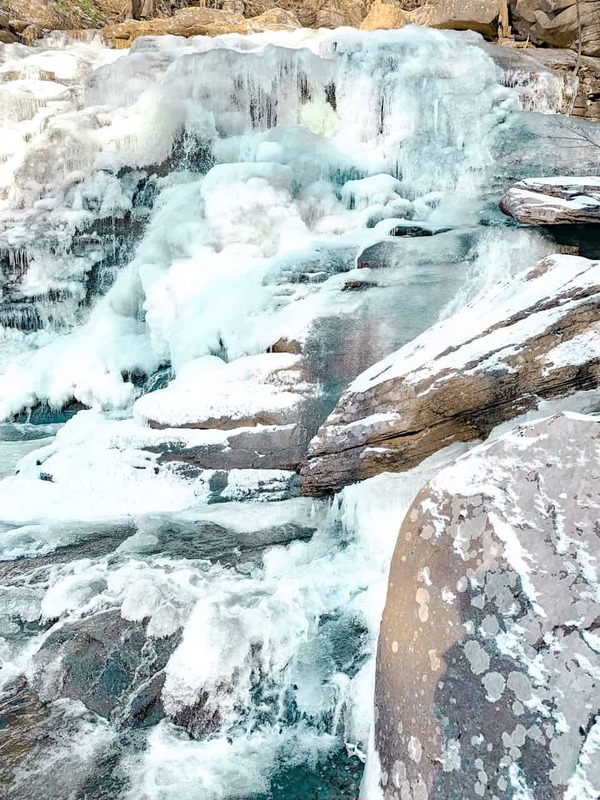 These waterfalls are well known and are frequently visited even in the coldest months. Summer brings an onslaught of hikers so if you’re expecting solitude, there won’t be any unless you decide to hike very early in the morning. 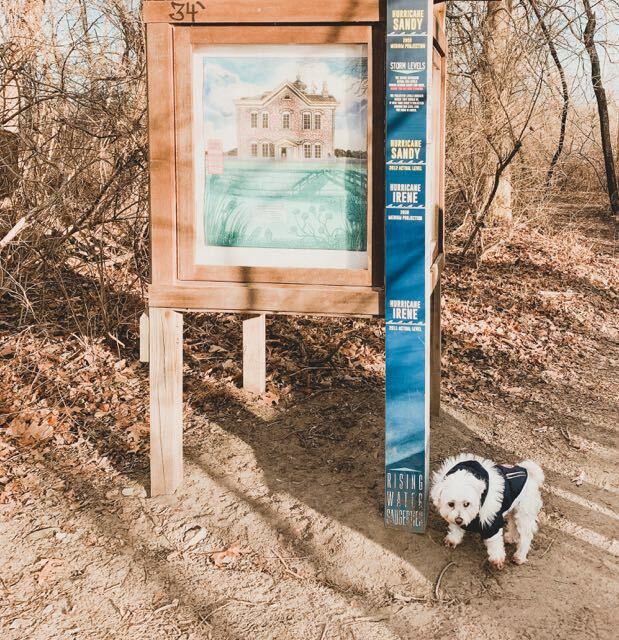 The trail is dog-friendly; however, you are required to keep your pups leashed. 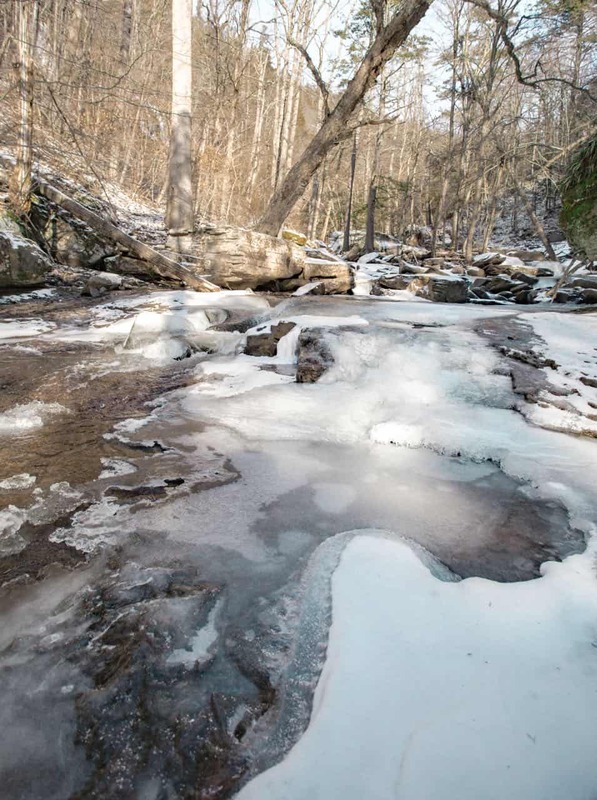 The trail begins with a gorgeous waterfall to admire and once you being the trail, you’ll pass alcoves and streams. 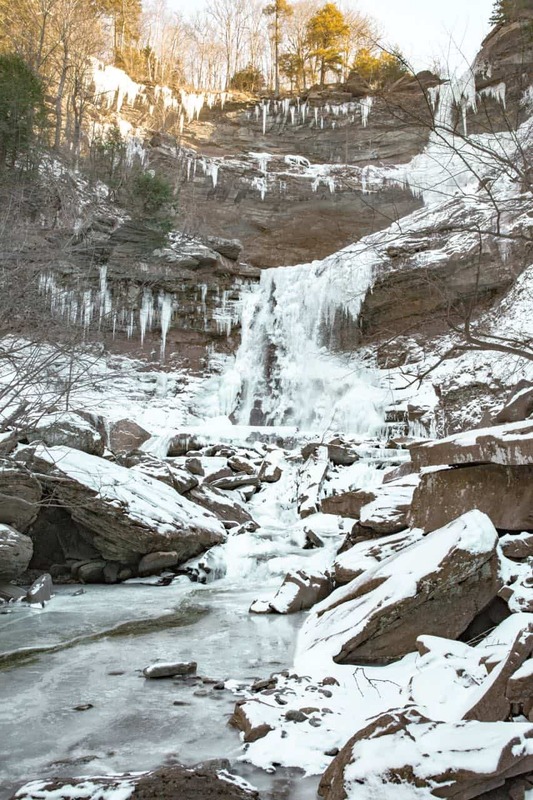 It’s all charming and scenic until you get to the best of the best: Kaaterskills Falls. 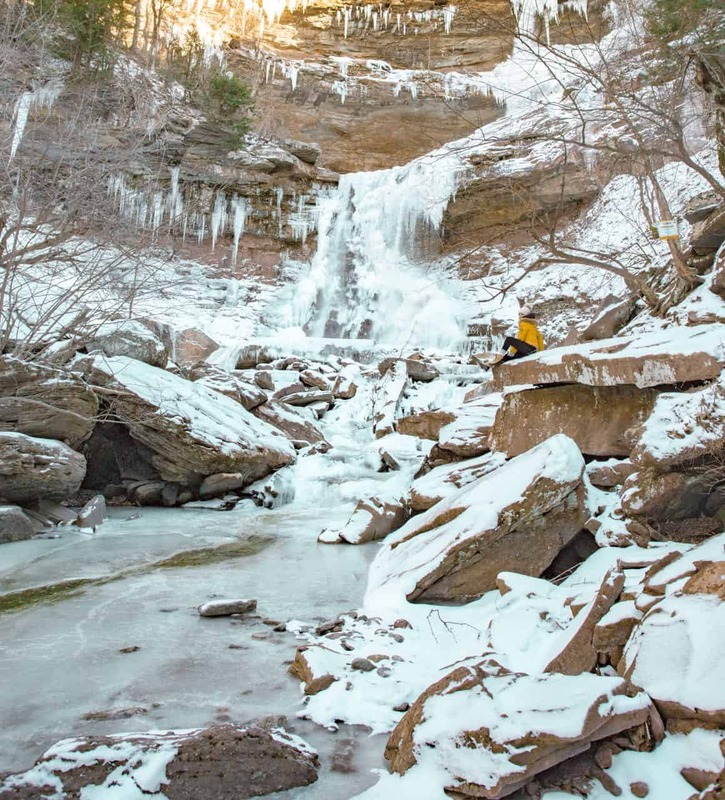 These falls are two-tiered and breathtaking both during summer and winter where they are typically frozen or covered in snow. If you’re driving from Saugerties, you’ll see signs for the trail on your right. You’ll pass the Kaaterskills Falls trailhead on the right and a few feet down the road, you’ll come across a small parking area on the left. We visited during winter and there were two other cars; I imagine that during summer parking is difficult to find. The waterfalls are about a mile from the trailhead; if you want to hike to the top, it’s another .3 miles or so. The entire trail is a mix of flat path, stairs or streams. 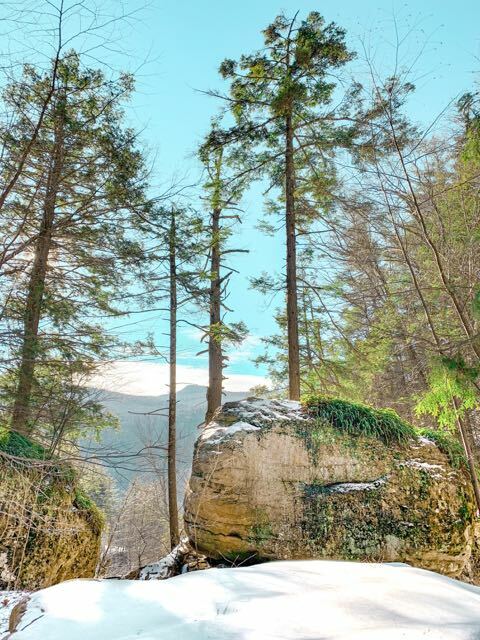 It’s an easy hike but with plenty of stairs so if you have weak knees, bring along trekking poles. If you’re hiking during the winter months, I would highly recommend hiking in crampons. These metal contraptions fit over any shoe and give you the grip you need to hike safely in ice and snow. The trail is extremely dangerous during winter. 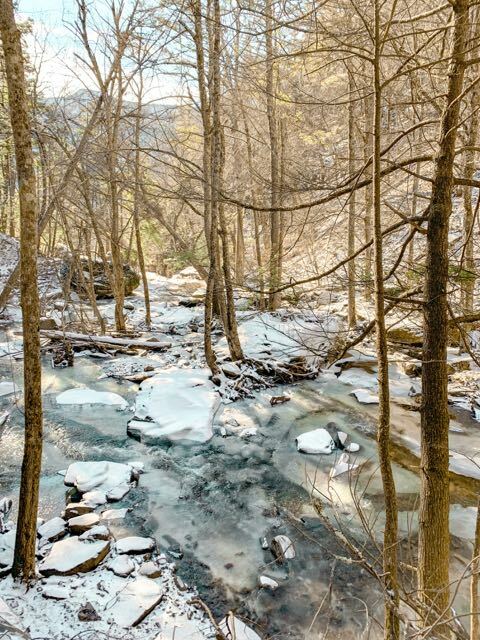 There are signs posted everywhere warning of the dangers of hiking during winter months and if you do end up hiking the trail, you’ll quickly realize why. Most of the stairs are covered in thick ice or at the very least snow. Everything is slippery, especially the smooth slabs of rock you’ll pass along the path that ordinarily are easy to traverse. If you decide to hike Kaaterskills Falls Trail anyhow, I would recommend stopping at the base of the falls (after a mile) and not hiking all the way to the top. This last part is the steepest and in my opinion, the most dangerous. You’ll see danger signs posted here as well so it’s hard to miss. *There have been quite a few deaths over the past few years due to people hiking carelessly and without caution. 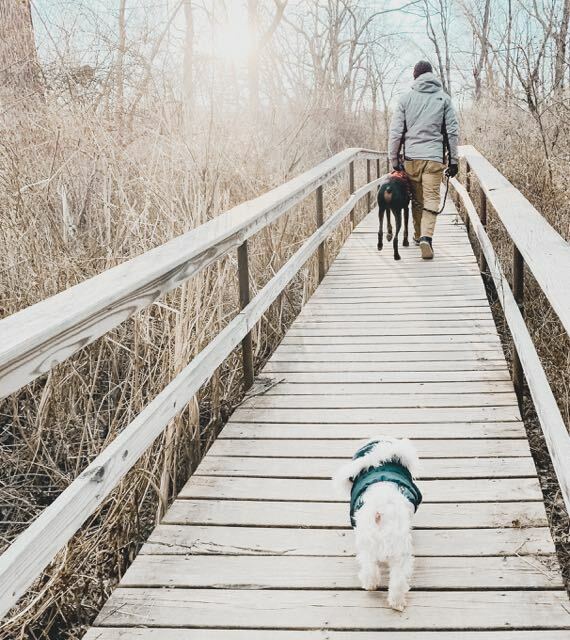 If you do decide to bring your pup, I would make sure that you feel comfortable hiking with him on uneven surfaces. It’s dangerous enough to lose your own footing on the trail let alone your pup who can drag you down with him. My suggestion is to only bring your pup if you have crampons with you. 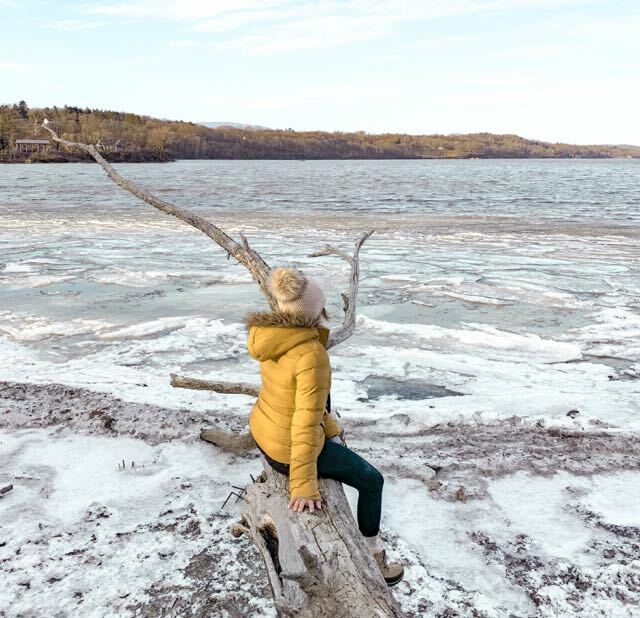 Saugerties Lighthouse Trail – This walking trail is an easy, meandering path that weaves between trees along the river. It’s located just outside the city center. There is plenty of parking and the trailhead is obvious. It is pet-friendly, though leash laws apply. Once you begin the trail, you’ll wander down a wooded path. 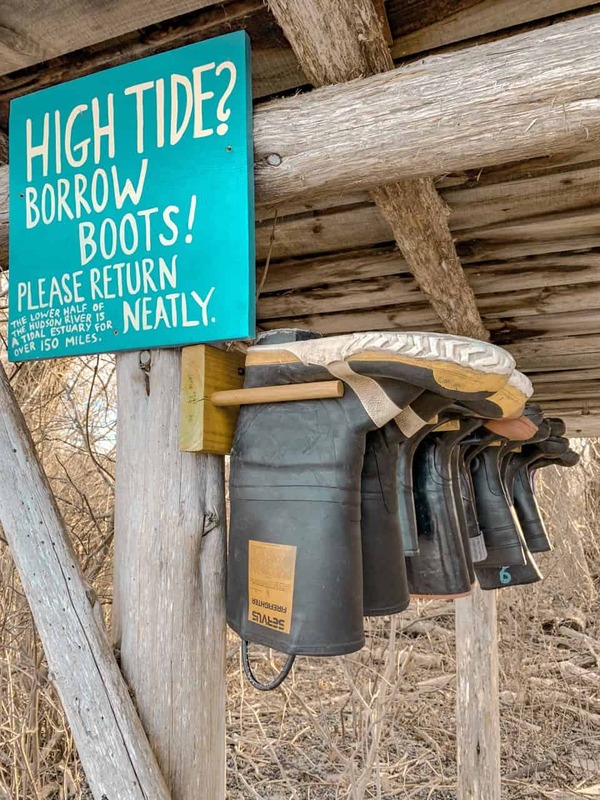 You’ll pass a sign that marks how high the waters reached during Hurricane Sandy and then continue walking on a bridge and more wooded paths. You’ll spot the river on your left which looks more like the ocean at times. 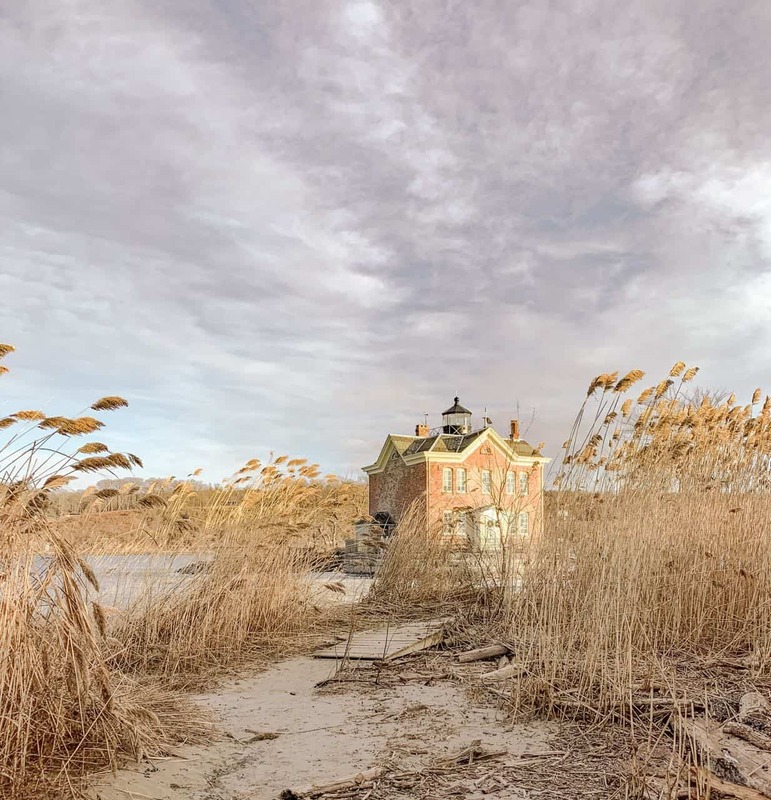 The trail ends with the beautiful Saugerties Lighthouse, an old structure that resembles more of a house than a lighthouse. The area has a gazebo and a small dock for boats and according to the signs, hosts a B&B of sorts. 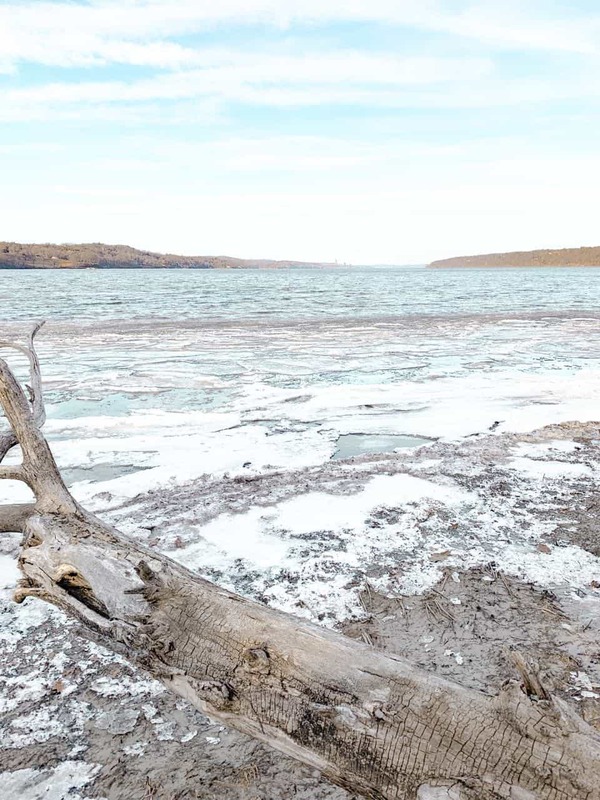 The Saugerties Lighthouse Trail is perfect for a quick jaunt; bring a picnic basket with you if you want to turn it into an afternoon activity. Surprisingly, the Catskill region has plenty to offer when it comes to good food and restaurants. If you’re staying at Getaway, you’ll probably head into Saugerties to eat. You may be surprised that a town as small as Saugerties has options, but it has plenty and they’re all great. For coffee and delicious baked goods, I’d recommend heading to Bluestone Roasting Company. Slices of Saugerties makes delicious pizza (try the eggplant pizza) while Love Bites Cafe has a great breakfast and brunch menu. Head to Rock da Casbah for local desserts and awesome sandwiches. *If you are staying for more than just a weekend, you may opt to venture into Kingston for other restaurant options. A travel photographer and writer with an insatiable desire to explore the world and inspire others to see it for themselves. 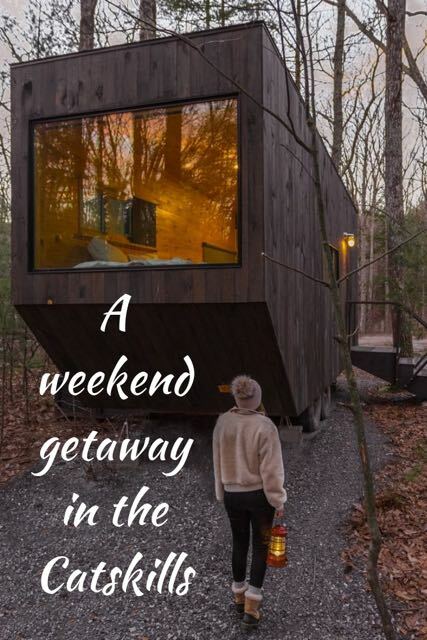 What a perfect weekend getaway! 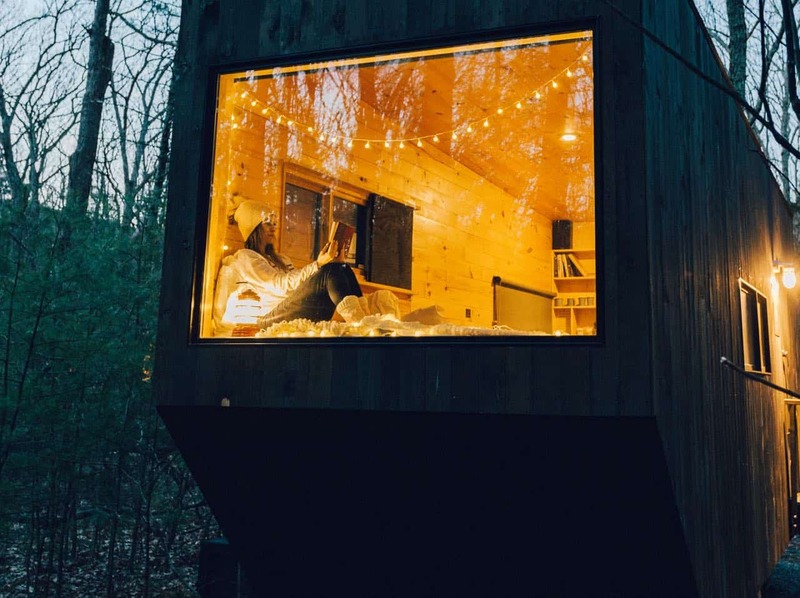 The cabin looked so cozy! I live in NYC, it’s good to know this is so close by. This looks so romantic!! I’ve been dying to visit for awhile! There is no place with pricing and times of years and how many of these little places there are in each group? How close they are to one another? Looks like something I would love. please let me know if it is in my budget. Thank you. Hi Gael! Thanks for pointing that out! I’ve added a little blurb about the cabins and how close they are to each other. Prices are between $130-$200 per night depending on the time of year or day of the week you pick. I recommend using their website to give you the most accurate estimate of how much your stay would cost. Let me know if you have any other questions!